As a long-time player of Elder Scrolls games, there are a few things that often bother me about the games. The game components are poorly done, the voice acting can be spotty, completing a fraction of the available content has a bad tendency to morph your character into some kind of amoral demigod, hoarding items is the most common response to finding any loot as its worth too much to sell but you don't have any use for it, inventory management is a nightmare, a good portion of the population has a tendency to die, and I don't feel like I'm getting much done (and no, not in the normal "you're playing a video game and not doing anything useful for the world around you" way). Let's talk about that last one, how Consequences Matter (flawless title drop). No matter what choices I make in the game, I find that the world around me doesn't change in any notable way. I can kill the Emperor, slay hundreds of dragons, become the master of every guild, slaughter almost the entire world's population, become the master of a plethora of legendary items, and strike any random passerby that I see, but it won't do much to the world around me. There just aren't well implemented changes for almost anything you do. Let's analyze a few examples, and try to get to the root of the issue. Starting off with the one I've logged the most time in, Oblivion is also one of the worst offenders. Let's roleplay: Say you are a grizzled thief with a guard that wants you captured, and years of experience keeping that from happening. Now imagine that while recruiting new members for the Thieves Guild, an applicant comes up to you who happens to have a bit of a reputation. What kind of reputation? 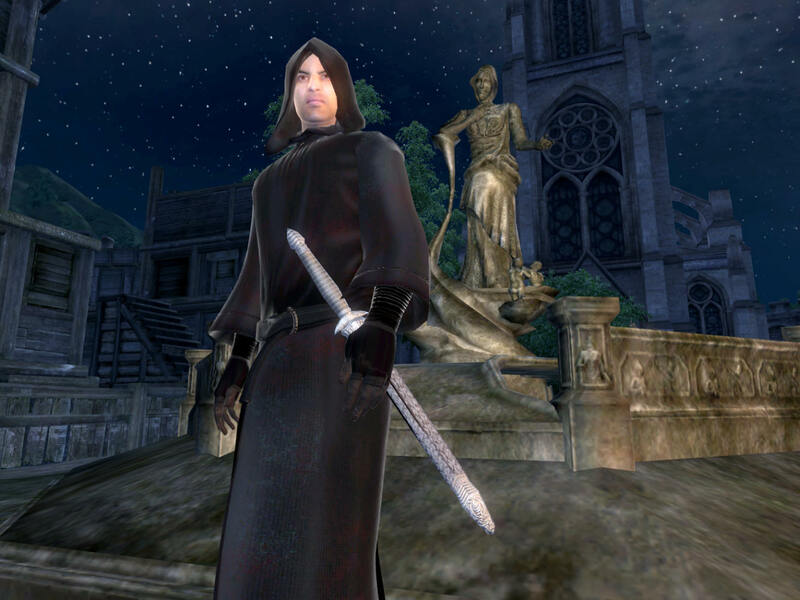 Oh, he's merely known to be the Master of the Fighters Guild, Arch Mage of the Mages Guild, Divine Crusader of the Knights of the Nine, and the Champion of Cyrodiil. He's that guy who just saved the entire world from the forces of Oblivion, the guards sing his praise whenever he passes, and people are building statues of him. Do you instinctively say to yourself "This is clearly a setup"? If you said yes, then congratulations! You are more genre savvy than Armand Christophe. While any logical person wouldn't trust this hero of destiny in their group of outlaws, the game doesn't ever address this obvious issue. My character's reputation should blacklist me from working with certain groups. While some may think that this doesn't allow them the full experience, that they would be missing out on key features of the game, there is nothing to stop them from creating a new character who could join the different factions (besides the time spent crafting a new one, that is). Simply put, not everything needs to be done in one game. 100% completion with one character shouldn't be a possibility. You might be able to argue that you could avoid being recognized by the more good/neutral factions as a member of Thieves Guild or Dark Brotherhood thanks to the naturally sneaky nature of those organizations, but it doesn't work the other way around surely. What you do in the other guild's are fairly public, and would make you a logical enemy or at least someone who wouldn't be trusted to those guilds. And for the other side (joining the more evil groups), surely rumors about you would begin to circulate after a while if you associate yourself with killers and thieves? While they may have nothing concrete, they'd at least be more hesitant hiring you. Morrowind got this right with its Reputation System. It made it harder, and in some cases impossible, to join factions depending on who you have joined previously. It helped to bring the feeling of conflict into the world, it added some delightful political intrigue. The exclusion of this was easily one of the bigger things that made Oblivion feel more lifeless, as the heart of the Empire lacked much in the way of politics. 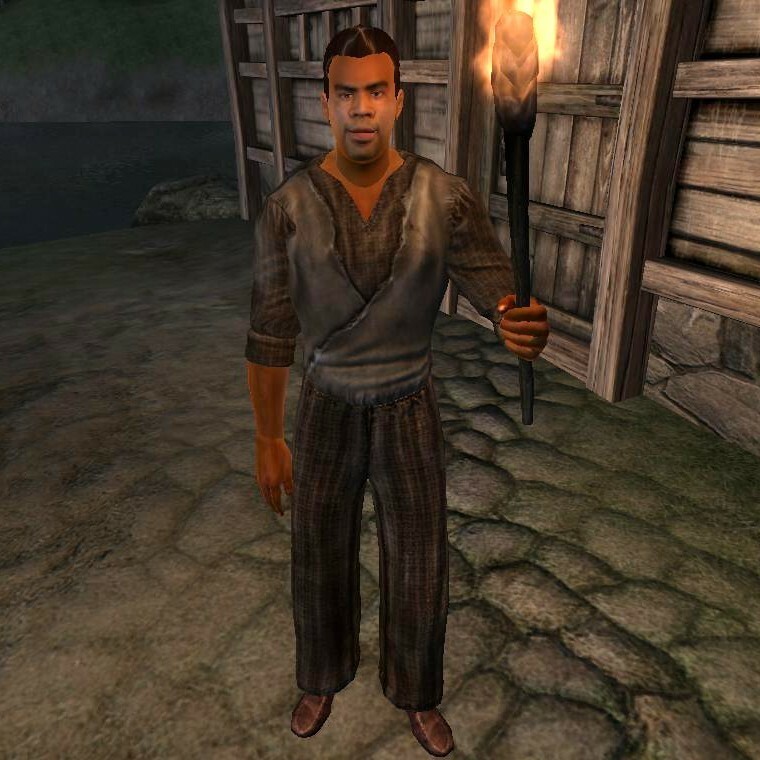 As Oblivion made the NPCs less intelligent, it also assumed you weren't very bright. Smart play isn't rewarded as it should be. No matter how clever you are, there are far too many occasions where you must simply bungle forward to complete a quest. Anyone familiar with the Dark Brotherhood quest line knows what I'm referring to. There are a ton of hints thrown around that you're slaughtering members of the Dark Brotherhood, but you can't do anything about it! Oh, by the way, spoilers. Let's look at J'Ghasta to explain what should of happened. While searching his house, you can come across several items that would suggest he is a member of the Dark Brotherhood. Even worse, talking to him suggests just as much. So logically, you should try to yield and talk about how you were just sent to kill him by the Dark Brotherhood. This would then put you on a path in which you could stop Mathieu Bellamont before it was too late. Failing to do this at the multiple times its hinted that you're killing off the wrong people would end up with the guild crippled at the end (as it is in the actual game). Even the most obvious chances, like when you drop the severed head at Mathieu's feet and he clearly panics, don't give you a chance to stop him. The ending to the Dark Brotherhood storyline is one of the saddest in the game as you take over the guild, but there isn't much of a guild left to take over. Alternatively, consider the frustrating Collecter Quest Line. Whereas all the guilds are left open so you don't miss out on anything, this quest sets it up in such a way that you can miss out on both of the major rewards for this quest chain if you choose the "smart" option. Towards the end of the quest chain, you get the option to either give the Ayleid Crown of Nenalata or the Ayleid Crown of Lindai to Umbacano. If you choose to give the Lindai crown to him, Umbacano is killed upon entering the throne room at Nenalata. The crown you can keep, the Nenalata one, is left in its initial terrible state. So congratulations for observing the obvious warning signs in this quest chain! For doing so, you get nothing but the avoidance of a fight with a single lich! I can't help but feel like the game is mocking me, as if it finds my attempts to think ahead insulting. The last thing I'm going mention from Oblivion is the entirety of the main quest. Why? Well, it's all because you left a necessary item with an old guy who completely failed to protect it. It just seems wrong that the entire main quest happens because you dropped off the Amulet of Kings with Jauffre and he simply loses it in an attack. This is the most grievous example of making a blindly obvious error in judgement that can't be avoided causing a ton of issues. If you kept the Amulet, the entire game would of ended a bit after visiting Kvatch. I know that they had to extend the game, but it could of been done in a manner that didn't make it seem more like a comedy of errors instead of the fantasy epic it's supposed to be. Something as simple as saying that Mankar Camoran is keeping the fires from lighting would make the game just as long, give the antagonist a more active role (from just holding onto the MacGuffin to actually being the one responsible for stopping your progress), and make the heroes come off as less incompetent. While there are more claims of each sequel to the Elder Scrolls making the errors from previous games are prominent, never is it more so here. How to even begin... How about killing the Emperor? By the way, still spoilers. 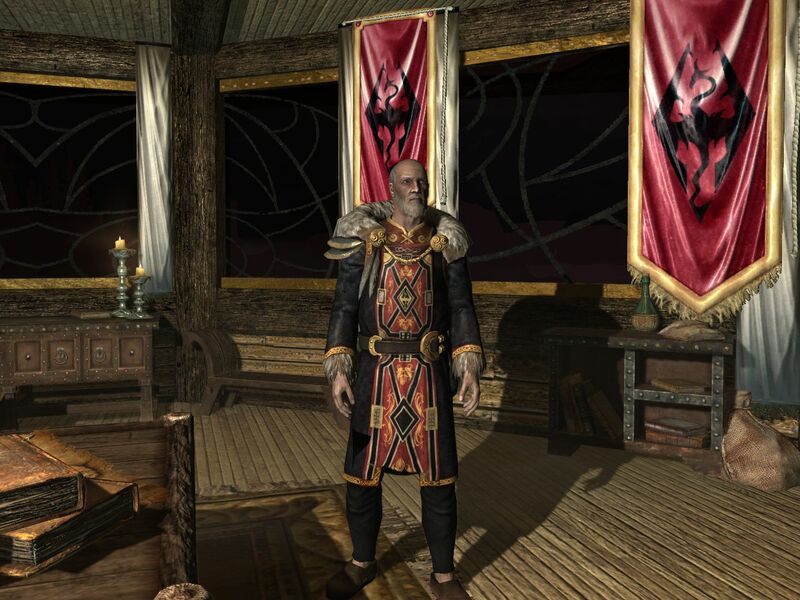 The culmination of the Dark Brotherhood quest line ends with you killing the Emperor, with almost everyone in Tamriel believing the almost destroyed Dark Brotherhood to be behind the assassination. So, a giant manhunt to hunt down the survivors begins, right? Wrong. No one bothers the guild, even though its public knowledge in Dawnstar where their lair is. Now, I'm not saying the Dark Brotherhood shouldn't come out on top, I'm just saying that the quest line was one mission too short. There should of been one more in which you stop the efforts to crush the revived guild before they pick up steam, if for no other reason than you just can't kill the Emperor and get away with it. That is really the issue with a lot of the Skyrim quest lines. They don't conclude, they stop. Take for instance the Civil War. So you've cut off the head of the enemy army (literally), but they still have a few units out in the wild to deal with. You're told to go hunt them down. If you do, you'll instantly regret it when an immortal agent of the side you didn't choose goes after you. What were they thinking? Instead of having awesome raids by and against the remnants of the enemy faction, they just continue to exist with immortal NPCs leading them. This is made worse as you're told to go after them. Did anyone bother to check to see if you could actually bring the Civil War to a close before launching the game? Besides that annoyance, there is still the issue with The Moot, and how it's never called. Skyrim never gains a new High King or Queen after the hurly-burly's done. I'm guessing this might of been intentional, but it still comes off as a missing quest. The point is that I just ended a war, I should notice some sort of change besides a few cities being wrecked, and some guards wearing different uniforms. When you don't even get to see the ultimate reason you were fighting, a liberated Skyrim or a Skyrim once more behind the Empire, there are serious issues afoot. The Companions, Lycanthropy. Can anyone tell me what exactly happens to you when you become a werewolf? Do you lose a bit of control over your character, with them being forced to transform at least once a day/week/month? No? Do people like you less outside of your beast form? No? Are you in some way crippled by your bloodlust? No?!? Well, what is the drawback? There has to be a drawback. More aggressive behavior, a hunger for flesh, issues keeping your curse a secret? ANYTHING?!? Wait, there is a drawback!?! Well what is it, then? No resting bonuses... That's a joke, right? Oh my, what a terrible curse! You can't get a good night's rest! Why, surely there must be a cure for this! Tell me there is, I really need a good and proper nap after a day of adventuring! There are several, with the most readily available one having no drawbacks? Jolly good news, I feel my worries lifted already! 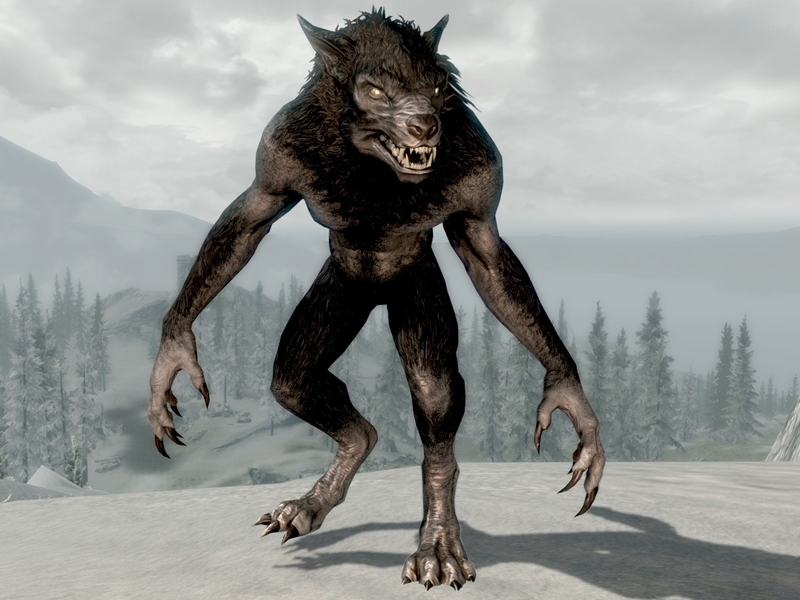 Lycanthropy in Skyrim is perhaps the most grievous example of the lack of consequences for your actions actually ruining some of the aspects of the game. I don't get the same joy from being a werewolf without some kind of setback. Without any worries attached to it, it basically just becomes another power that I might use every now and then. In Daggerfall and Bloodmoon, you had to do some terrible things to cure your curse. Now, it's merely something you can give half a thought to. I don't need it to be game crippling, but I do want it to change my playing experience. Play Morrowind. I find it liberating to be able to screw up so badly that the game becomes virtually unwinnable, and yet it doesn't stop you from reaching that point. While there are plenty more examples that could be brought up and even counter points worth considering (like how surprisingly easy it was to get removed from guilds in Oblivion for violating rules), this wasn't meant to be a complete look, just a quick glance at some of the more glaring issues that come up. I of course don't have any problems with the later games that won't make me play them, but there are many issues with the way they are crafted (not that Morrowind didn't have its fair share of issues). It's important to remember that while the ultimate purpose of any game is to have fun, that fun can often come from the challenges we face. By not giving us a challenge, forcing us down a worse path, or even punishing or ignoring opportunities for cleverness the game world can seem more artificial, and thus less enjoyable. While I don't personally like Morrowind's approach of "You walk into a higher leveled dungeon and are eviscerated in a single hit" and Skyrim's perverted uncle level of hand holding, I think it's fair to say most would prefer some kind of middle ground. While that middle ground would require much more effort than the previously tried methods to reach, surely it would be worth it to add more life to the world of the Elder Scrolls. All I can say is that I completely agree. “They don’t conclude, they stop.” Well said. This is particularly annoying now that we know the substantial improvements to Skyrim are done, and we’ll be lucky just to get bug fixes. When viewing Skyrim as an unfinished product, its potential gave it a lot of additional appeal. As a finished product, Skyrim is still too rough around the edges- er, endings. This is why game reviewers should revise their ratings for games post-DLC.